The Archean Eon (4–2.5 billion years ago) is one of the last great frontiers in our knowledge of the Earth. 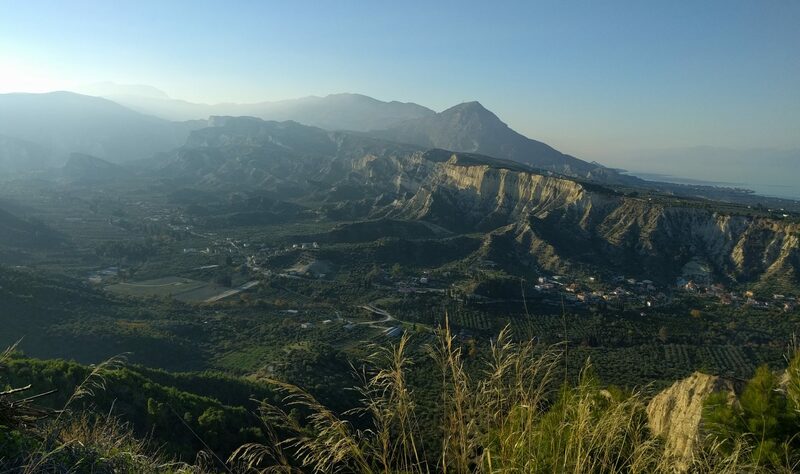 Plate tectonics is considered to have initiated during this time period, and large volumes of the continental crust formed, but fundamental questions remain regarding the timing, mechanisms and drivers of these transitions. Central to these debates is understanding the origin of a unique feature of Archean terranes: so-called ‘granite-greenstone belts’. These are linear to circular arrays of volcano-sedimentary sequences that have been metamorphosed to greenschist facies, and located within large regions of gneissic granitoids. 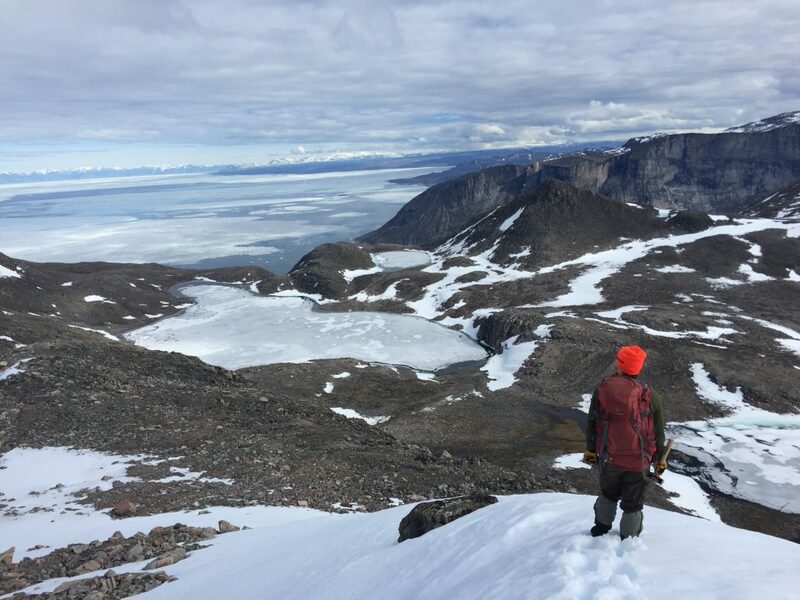 These enigmatic belts are particularly well exposed across northern Baffin Island in the eastern Canadian Arctic, so I visited this region last summer to conduct a targeted study of their formation. Fieldwork in the High Arctic is logistically challenging. 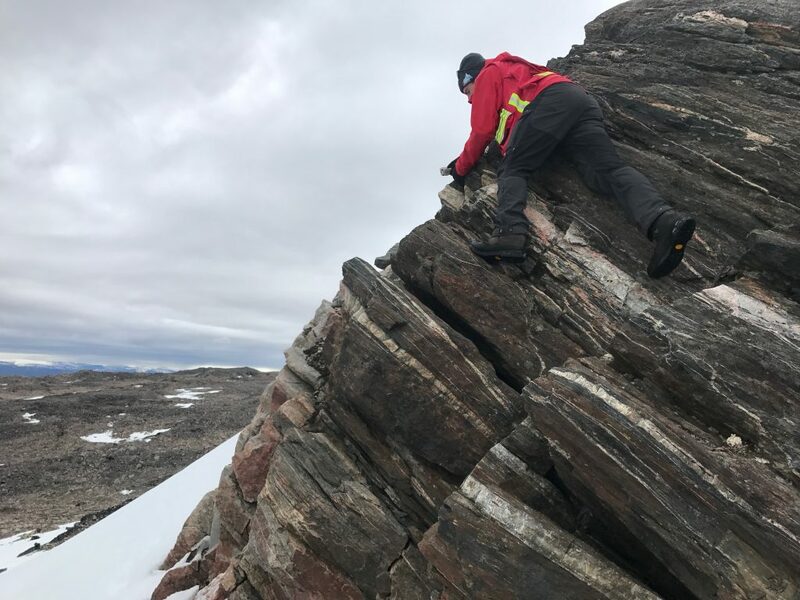 Thankfully, I was able to collaborate with the Geological Survey of Canada (GSC), my former employers, who are conducting a new bedrock mapping campaign in the region. 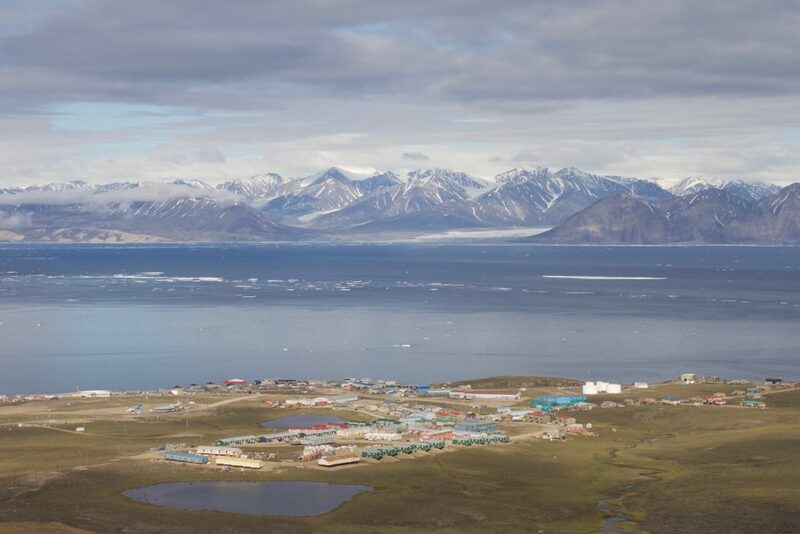 Our fieldwork base was the predominantly Inuit community of Pond Inlet, which is located along the north shore of Baffin Island. Pond is renowned as one of the jewels of the Arctic; a series of snow-capped mountains with glaciers cascading off their margins form a picturesque backdrop. We arrived just as the sea ice was starting to break up, and it was fascinating to watch the mosaic of icebergs in the bay jostle and dissipate over the summer. The waters surrounding Pond Inlet are also nutrient rich, and we enjoyed regular sightings of various seals and whales, including most memorably a pod of narwhal. Each day, when the weather permitted safe travel below a minimum ceiling of visibility, we commuted to a different part of the field area via a Bell 407 helicopter. Using Cold War era air photos, we had pre-planned a series of ~10km foot traverses across features of interest. The helicopter would drop us at one end of the traverse, and leave a survival bag at the other, and our task was to walk between the two, recording observations into digital field tablets. In tandem with airborne gravity and magnetic surveys, our measurements are then compiled to produce modern geological maps of the region, which will be released as a series of 1:100 000 bedrock maps in both English and Inuktitut (the language of the Inuit) in April 2018. Although the weather was inevitably challenging at times, and the latent threat of polar bears ever-present, it was a pleasure and a privilege to do research alongside affable colleagues from Canada in such a beautiful, fascinating and frontier region. The fieldwork was highly successful and I was able to collect a very promising sample suite for ongoing analysis in Cambridge. 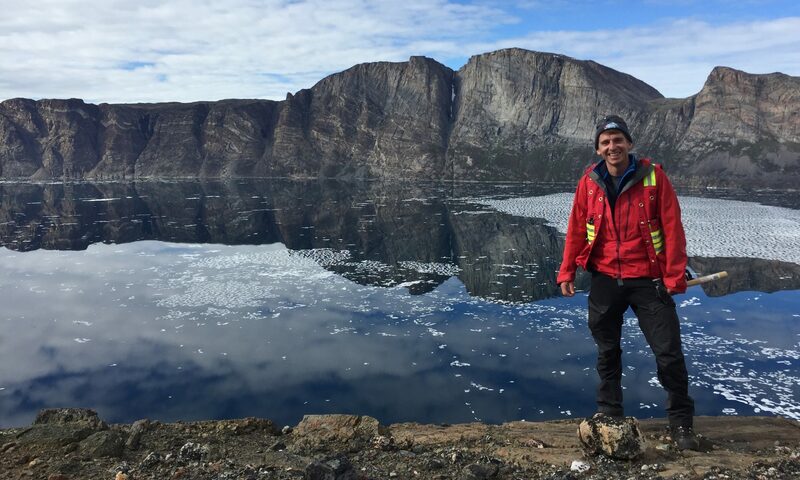 I would like to acknowledge the support of the NERC UK & Canada Arctic Partnership Bursary Programme, without which this exciting new collaboration would not have been possible.  This fieldwork is hopefully just the tip of the research iceberg as I start my career at Cambridge, and indeed I will be visiting the Arctic again next summer to further investigate the start of plate tectonics on Earth. 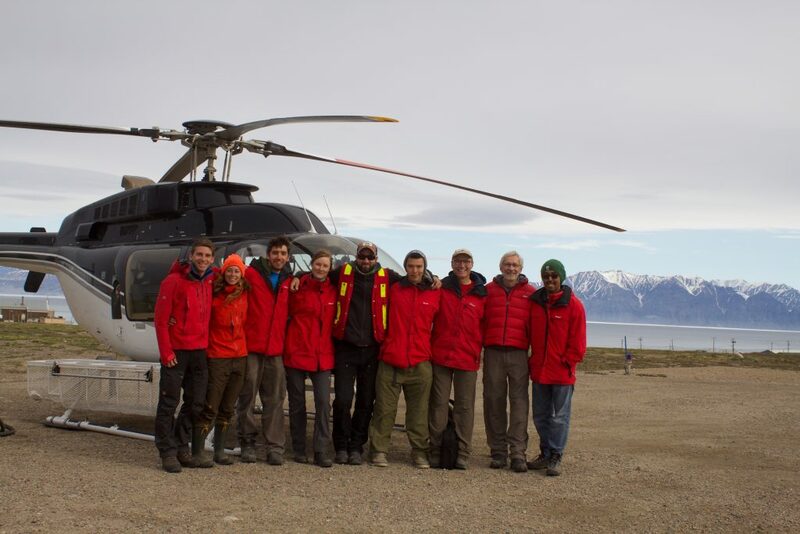 This article first appeared in GeoCam, the Earth Sciences alumni magazine.